Join Us, Support Us and Be a Part of It! It's a very cool thing to be part of a grassroots effort! Would you like to be part of our team? You can chip-in, volunteer or both. In fact, your dollar will go further now than at any other time! 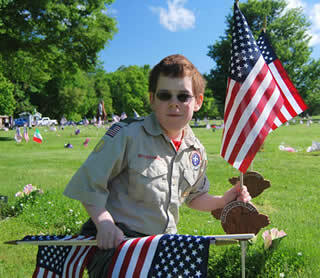 Our success depends on your generosity and Scout spirit. Donating is easy and secure through PayPal. 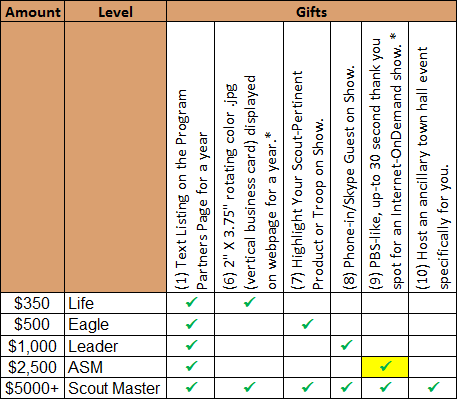 That way, you are guaranteed your gift has the best chance of successfully sponsoring TroopResource.org. button to be activated, soon. • Help prevent leader burnout. • Help leaders share their expertise, tips and tricks. • Help scouts and leaders have access to more experts. • Help leaders keep their programs interesting and fun. 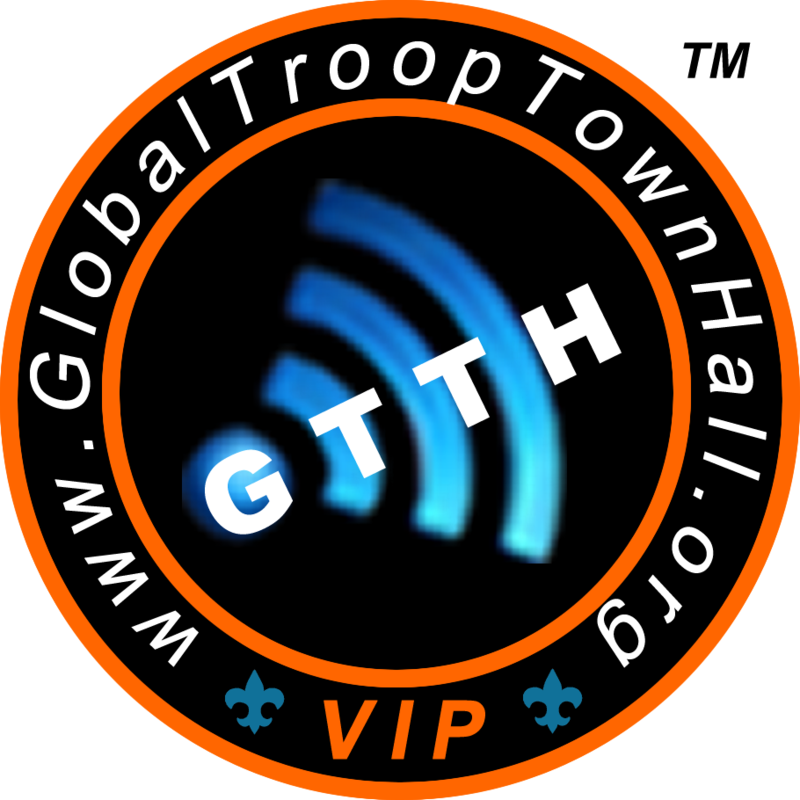 • Help Scouts share their excitement on a global level. • Help parents look smart by knowing the tips & tricks. 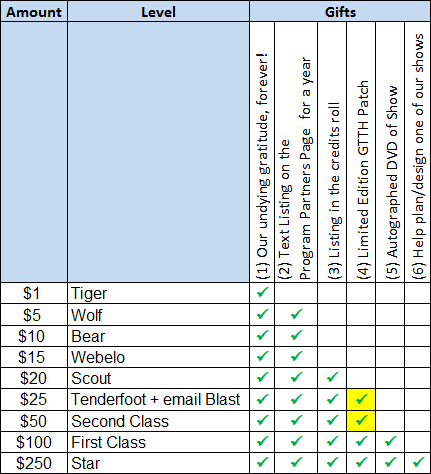 You can pledge any amount you like, not just those indicated by the levels. 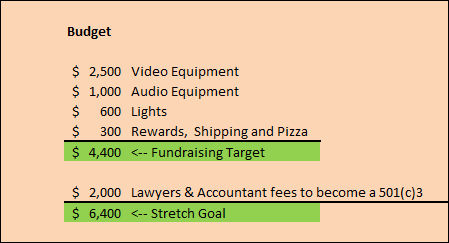 At this time, we offer rewards in lieu of tax deductions for your contributions. Rewards for pledges are delivered as soon as possible after they are received. Some limitations apply, so, be sure to make your pledges early. This project is for such a great cause that we are investigating growing it into a full-fledged, nonprofit organization. At this time, however, we offer gifts and recognition in lieu of tax deductions for your contributions.